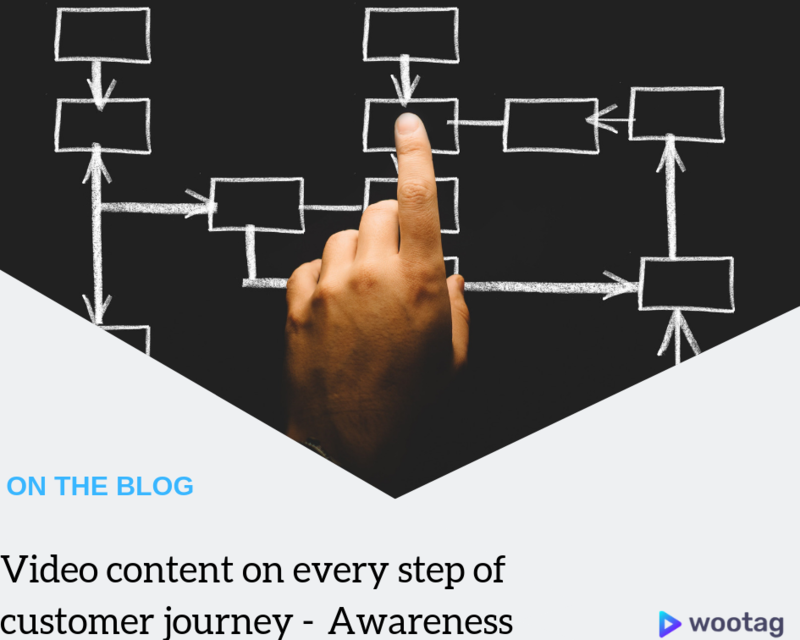 Awareness – Right in the top of the funnel is where all focus happened at the beginning of a customer journey you will need about 15% of your video content to attract top-of-funnel. Increase awareness of your company, product or service by drawing traffic to your website and social channels. Top of the funnel is a place where your customers are becoming more aware of a pain point, and discover potential problems and solutions they didn’t even know they had. Awareness stage is not a place for brands and marketers to make a big splash with new product launches, services or programs. 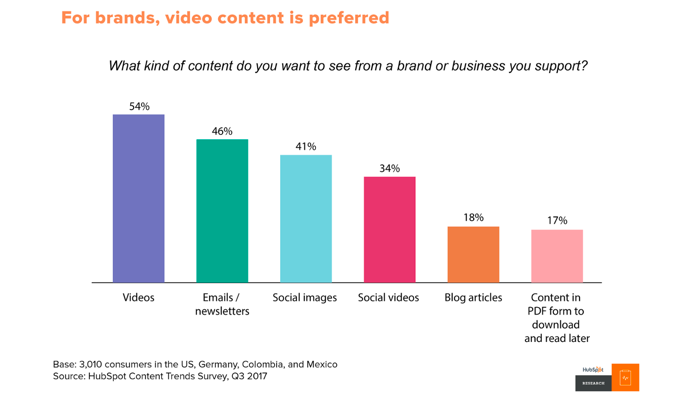 It might be not a strategic way to use videos on these stages and results of doing it may not shine brightly for your brand. You should remember that video is not a solution for every problem and not every type of video would be suitable for each stage of the customer journey. After all, on this stage, you should build create a first powerful impression, brand recognition, provide solutions, become a trusted source of information. Place not only proper video content in the awareness stage by being mindful which channels you choose for that stage. Be there where your customers are, and easy can find you. Social media are the perfect place to start. Easily shareable content and visible at the forefront of digital consumption. To woo your customers on Social media consider shorter video forms as social media viewers have a low span of attention. You have around 3s to attract and seize curiosity. Video content like brand promotions, infographics, expert interviews, leadership presentations, and short-form video teasers on social media sites like Facebook, Twitter, and YouTube could best utilise social media and drive attention of your audience. You can showcase the value of your products in action and demonstrate expertise. Provide a service, such as technical support, consider creating a video that highlights problems that are often an easy do-it-yourself fix. Create an interactive video explaining within video how to solve a problem by adding interactive tag learn more. Everybody loves videos. Build engagements with yours by promoting your products, your location and your social media platforms to all. Place well these type of video as its not suitable for landing pages. Show who you are to your potential customers. Build trust and relationship, showcase company culture, work environment and your employees. Add showcase interaction to allow your viewers to look and interact directly with your company through video. Best channel to introduce this kind of video for b2b would be LinkedIn, homepage or email. If you are in the b2c segment, you could consider the company Facebook page. Let, your viewers, get to know your product thru video. Include not only showcasing your product but also customer testimonial. 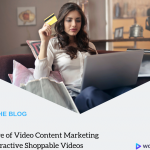 Videos as brand awareness channel will help you to build consumer confidence and give them a better idea of how your product or service can help them to succeed with their businesses. Integrated localised creative execution bundled with continual interactivity brand awareness video derived scale and engagement generating 3x uplift in campaign performance. Branded videos are perfectly suiting for almost all channels and especially social media, but they probably would not perform as good on your homepage/landing page. Most of the awareness videos are not meant to drive conversion. What you are looking for is to achieve more visibility not only around prospect customers but also search engines. Utilise your video content by crafting keywords that speak to the content of your video. If the channel of your video is your website don’t forget to include relevant headers, subheads, alt text, meta description, and unique page URL. Adding transcription of the video can also increase SEO value and gives you the possibility of including more keyword reach information. Next week we will showcase how video can be used in the consideration stage of your marketing funnel. Stay tuned or sign up to our newsletter for updates.